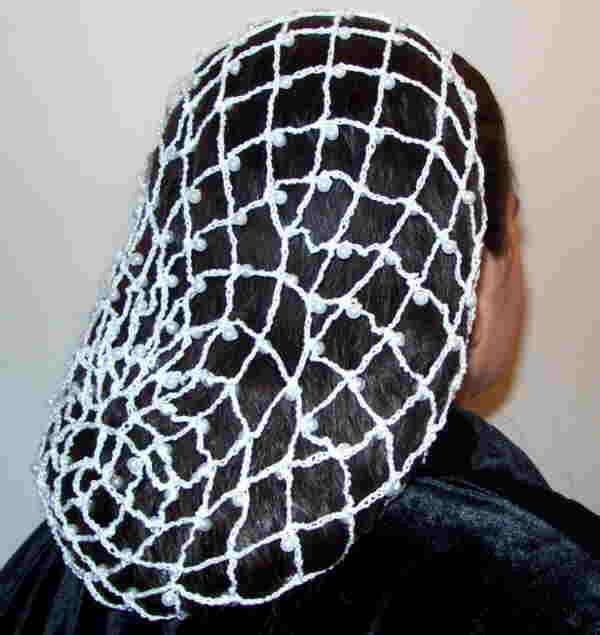 Net Beaded Snood-XLong 12 Length in Metallic Combination thread. 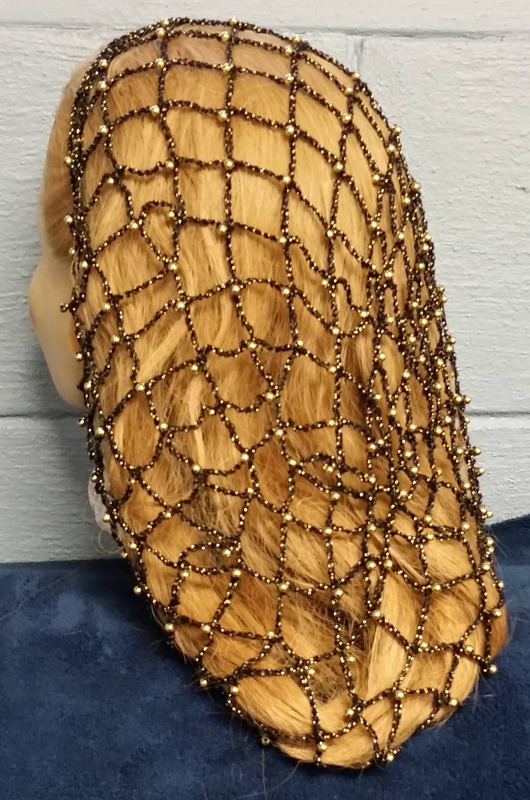 Net Beaded Snood-XLong 12" Length in Metallic Combination thread. 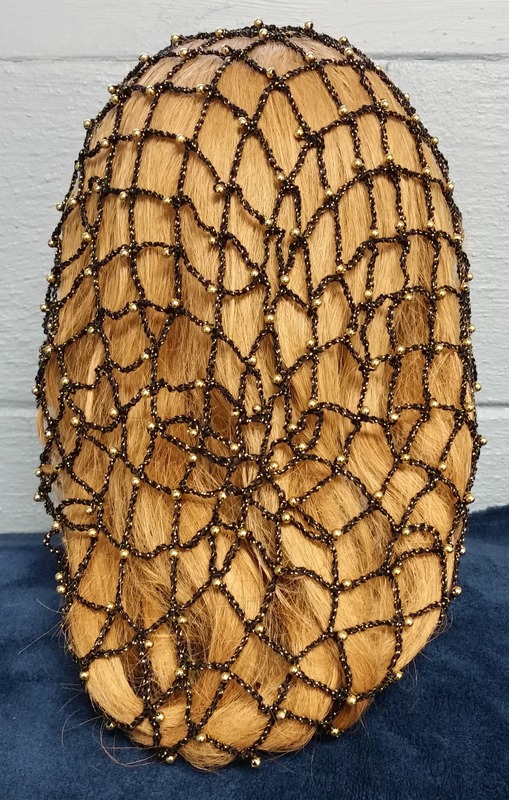 This is a beautiful hair snood hand made in your choice of metallic/cotton combination thread with your choice of beads on every row. This snood is my Net pattern and is in the extra long 12 inch length. This listing is for metallic/cotton combination thread. See my store for a basic cotton one. You pick the color of the listed available metallic/combination thread and bead color that you would like. Please allow 2-3 weeks for delivery to give me time to get it made for you. Note: The colored beads are an E bead and are approximately 4mm in size. Only gold, silver and Pearl beads are offered in different sizes. 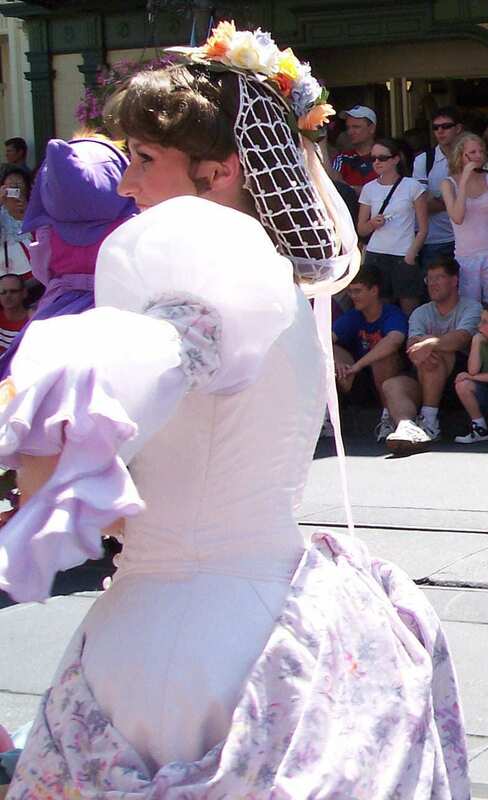 Those pictured are 3 are of the White Pearl/6mm Pearl Snoods I made in this length for the Cinderella dancers in the Disney parade at the Florida theme park. They added a flower head band to the snoods which are not included but shows you how you can customize your snood for a unique look. The rest of the pictures are Brown/Gold/4mm Gold beads and Black/Gold/4mm Gold beads. It does come complete with instructions on how to put it on and care for your snood. 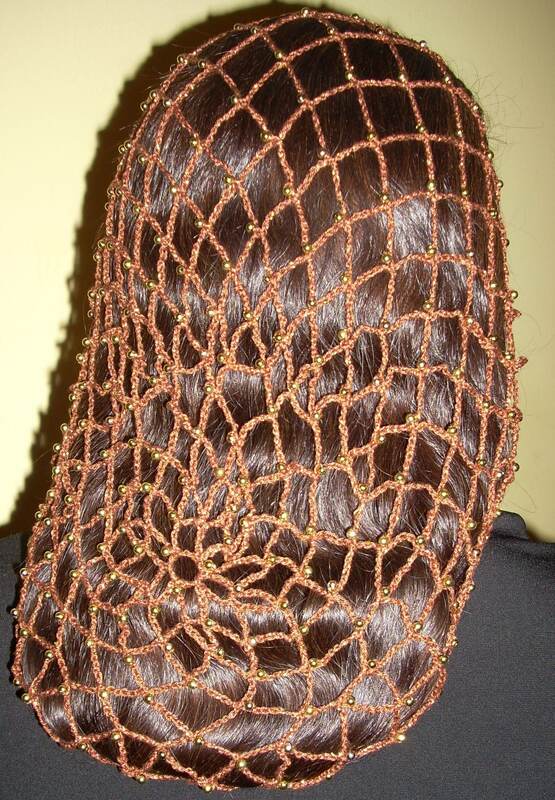 This snood is finished with an adjustable elastic cord which allows the snood to be tied to fit each individual person. This is a great addition to your Civil War, Medieval, Renaissance or SCA garb but can also be worn just cause it looks good. Snoods are making a come back and are wonderful for bad hair days. You just put your hair in the snood and go. No muss, no fuss. The elastic cord is woven into the last row so that it is barely visible while wearing. I take PayPal, personal checks, money orders or any of the four major credit cards as payment. Shipping and handling includes insurance. See my Etsy shop for more snood styles available. I will combine items to save you shipping if you buy more than one provided you make ONE payment for all items. Please email me for a final total if you purchase more than one before making payment to get the maximum shipping savings. Yes, I will ship out of the US but the buyer is responsible for any customs charges on their end.